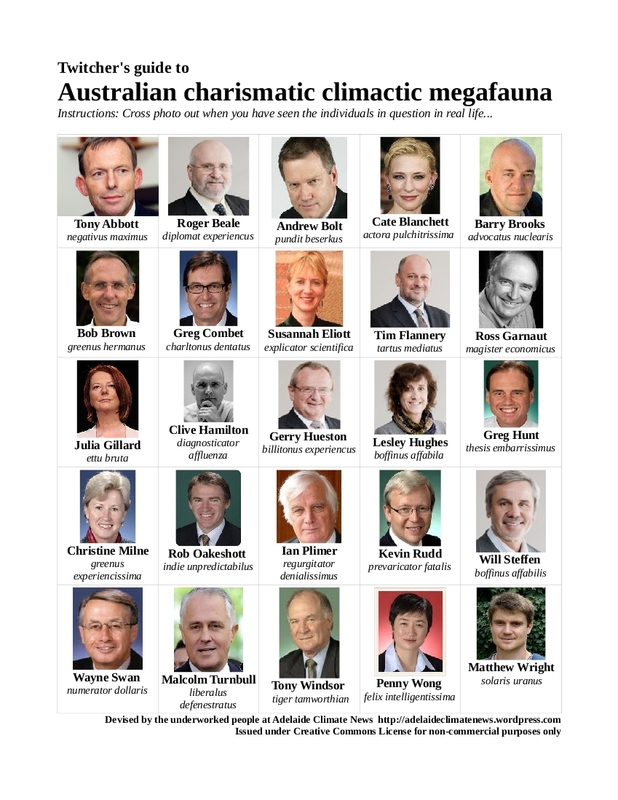 The “Australian Financial Review” is by far the least-worst newspaper in Australia. Here is the info I picked up from today’s edition. Treasurer Wayne Swan is talking at the National Press Club on Tuesday 7th June. He will unveil new Treasury modelling that purports to show a carbon price will result in three times as much low-emissions (yeah, sort of) gas-fired electricity generation… by 2050. No, no rush, is there. The climate change subcommittee of federal cabinet meeting weekly. To full cabinet in next couple of weeks for final negotiating position to got to Multi-Party Climate Change Committee. A Department of Climate Change report has been released that nationally between 27 and 35 thousand kilometres of roads and rail are at risk from flooding and shoreline erosion. Queensland and Western Australia in the firing line. China’s three decades of rapid economic growth have left it with a “very grave” environmental situation even as it tries to move away from a strategy of development at all costs.